One of the tactics we feel is important to any integrated campaign is email marketing. This is where Hatchbuck’s automated email features and benefits come into play, not only for us, but also, for our clients. 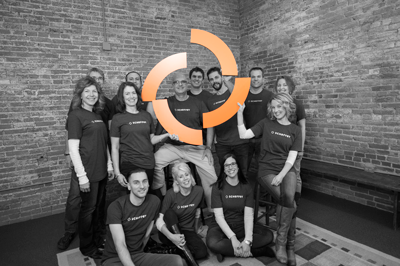 The #1 reason why Hatchbuck is so simple is because of their amazing support! Here’s my story on how their support saved me from having to obtain outside help, and increase my budget. Not to mention the time they saved me… all while sustaining my client’s campaign success! My client had finally approved my marketing plan and I had spent a ton of time focusing on the email marketing component which was the tactic that I knew would drive the most traffic. My co-worker who was the most knowledgeable about Hatchbuck had just left our firm and because we are on the small side, there was no one else who was familiar with it. So, I stepped up and was determined to not let this situation ruin my success or my clients. After a lot of perusing through Hatchbuck and watching a few of their helpful videos, I decided I personally needed to chat with someone who could at least start me off in the right direction. I contacted Hatchbuck and they immediately responded to my request. Little did I know, that since our firm is a Hatchbuck partner, we receive a dedicated support person! That same day, I reached out to Hatchbuck and our support person, Nicci, emailed me. Within seconds I had a tutorial scheduled with her. She was extremely educated on their product and every detail of each tool available. She reviewed with me right away their automated email functionalities and options, without having to sit through and listen to a bunch of information I was already aware of. In a matter of 30 minutes I knew how to run an automated email campaign! I couldn’t believe it. Hatchbuck had brilliantly simplified, what I thought would be the most complicated process ever. Nicci even offered to review the campaign for me after I had developed it to ensure it would work and flow as I had expected it to. Now that is real support! And, that’s not all. She told me anytime I need her help, all I have to do is pull up her schedule and pick an open time to speak with her. Not having to go through an annoying telephone system to reach her, or entering my account information, or chatting online. I spoke with her right over the phone and I was able to view her instructions directly from my computer screen. The overall best part was Nicci’s friendliness and willingness to help me. I would never know if I asked a stupid question – she made me feel like a Hatchbuck pro! I can’t wait to start my next email campaign. Scheffey is a marketing communications firm that serves the most amazing group of clients. We are a small group of BIG thinkers that have a true passion for all things marketing – especially when it comes to integrated campaigns. 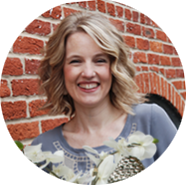 Kelly clearly has a passion as a marketing expert and digital strategist working with an array of clients. Her professional duties are vast, but mainly focused on managing the marketing strategies for a handful of well-established local businesses. She is an avid social media persona and is always keeping an eye out for the latest and greatest technologies that serve up the best opportunities in her field. Kelly has worked on the client side as well, managing international brands from product development to sales initiatives, along with big box, national and local retailers. In her free time, Kelly enjoys running, yoga, and good wines.